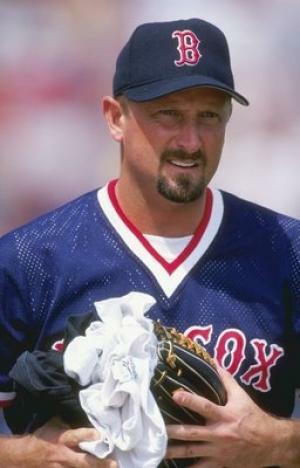 Bret William Saberhagen was born on the 11th April 1964, in Chicago Heights, Illinois USA, and is a retired Major League Baseball (MLB) right-handed pitcher who played for the Kansas City Royals (1984-1991), New York Mets (1992-1995), Colorado Rockies (1995), and Boston Red Sox (1997-1999 and again in 2001 season). Bret’s career started in the mid- ‘80s, and ended in the early 2000s. Have you ever wondered how rich Bret Saberhagen is, as of early 2017? According to authoritative sources it has been estimated that Saberhagen’s net worth is as high as $20 million, an amount earned largely through his successful career as a baseball player. Bret actually went to Grover Cleveland High School, located in Reseda, California, where he excelled in both baseball and basketball, but focused more on baseball. In his senior year, he was a part of the Los Angeles City Championship game, in which he was the winning pitcher. Right out of high school, Bret’s professional career began; he was drafted by the Kansas City Royals, and two years later he made his MLB debut. In his rookie season, Bret had a 10-11 record and a 3.48 earned run average (ERA). The following season, Bret’s numbers increased and as a result he was rewarded with the American League Cy Young Award, and also won his only World Series, winning with a shutout in Game 7, which earned him also the World Series MVP award. This did his potential net worth no harm at all. He played for the Royals until 1991 when he was traded to the New York Mets, alongside Bill Pecota, for Kevin McReynolds, Gregg Jefferies and Keith Miller. During his time with Royals, Bret played his best baseball, and won several awards, including the two All-Star game appearances, second American League Cy Young Award in 1989, Gold Glove Award in 1989, MLB wins leader in 1989 and AL ERA leader in 1989. After joining the Mets, his performance began to decline, and until his retirement in 2001, he changed teams several times, playing for the Colorado Rockies in 1995 and Boston Red Sox from 1997 until his retirement. Thanks to his successful career with the Royals, Bret was inducted into the Kansas City Royals Hall of Fame in 2005. Several years after his retirement, Bret started a coaching career, assuming the head coach role at the Calabasas High School Coyotes Varsity baseball team, which also improved his wealth. He also owned and operated a sports center, located in West Babylon, New York and called Bret Saberagen’s Hit & Fun, which featured batting cages, arcade games, bowling, and laser tag. Regarding his personal life, Bret has two children with his first wife Janeane Inglett; their marriage lasted from 1984 until 1994. Two years after the divorce, Bret married his second wife Lynn Critelli, but they also divorced. He is now believed to be single. 2 Won 1989 American League Gold Glove Award as Pitcher. 3 Won 1985 and 1989 American League Cy Young Awards. 4 Pitcher for Kansas City Royals (1984-1991), New York Mets (1992-1995), Colorado Rockies (1995) and Boston Red Sox (1997-1999 and 2001). 5 Named to 1987 and 1990 American League All Star Teams. Named to 1994 National League All Star Team. 6 Member of 1984 American League Western Division Champion Kansas City Royals team. Member of 1985 World Series Champion Kansas City Royals team. 7 1985 World Series MVP for going 2-0, .50 ERA, 2 Complete Games, 1 Shutout, 18 Innings Pitched, 11 Hits, 1 Earned Run, 1 Walk and 10 Strikeouts.